Whether you are looking for a one-time clean or regular scheduled cleans, Stone Cliff Window Cleaning Inc. can provide service that fits your needs. Our fully insured experienced staff take pride inside and outside your home. 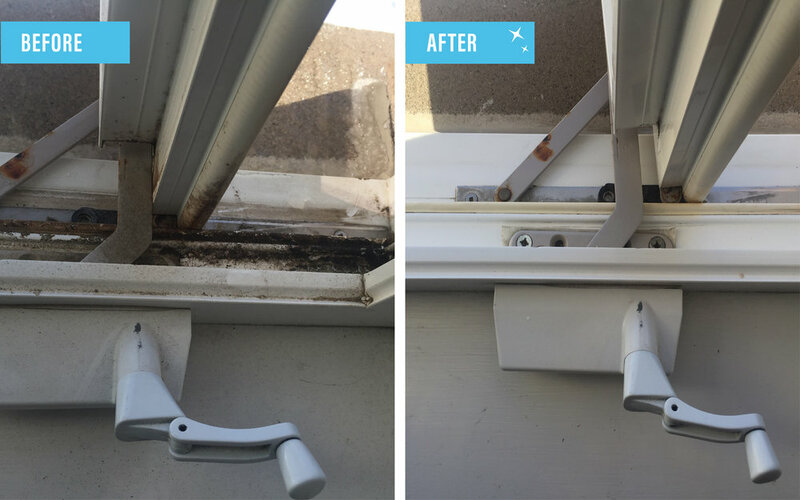 We provide interior and exterior window cleaning, including cleaning the tracks, sills and screens. We provide pre-sale window cleaning to ensure your home looks its best for real estate photos and showings. We also provide move-in and move-out cleaning. Eavestrough and gutter cleaning is an important part of your overall property maintenance. Clogged eavestroughs can cause water to overflow from the eavestrough and damage your house. Our fully insured team provides a full clean out of your eavestroughs and downspouts removing leaves, dirt, shingle dust and moss build up. Avoid costly repairs that can occur if your eavestroughs are not cleared properly. Let our team clear your gutters/eavestroughs and downspouts to ensure they are draining properly. Visit our gallery to see more before and after photos. Dirt, grime and acid runoff from your roof cause build up on the side of your eavestrough. Let us clean your eavestroughs/gutters with our 100% biodegradable cleaning process that removes the dirt, grime and black stripes to make your eavestroughs look new again. Our eavestrough whitening dramatically increases your curb appeal instantly. Stone Cliff Window Cleaning Inc. has been in the window cleaning business servicing the GTA for over nine years. We provide high quality window cleaning, eavestrough cleaning and eavestrough whitening specializing in residential and commercial properties. We have helped countless homeowners, business owners, real-estate agents and property managers keep their properties looking their best. Our hours of operation are from sun-up to sun-down with flexible appointments to fit your schedule. Locations we have serviced include: Toronto, Mississauga, Brampton, Vaughan, Richmond Hill, Markham, Newmarket, Aurora, East Gwillimbury, Keswick, Whitchurch-Stoufville, King City, Schomberg and Bradford. Don't see your town or city on the list? Give us a call to chat further about your cleaning needs and we might be able to make a special trip.